Smartphones are firmly stamping their mark on the payments and merchant landscape in many forms. Whatever their role in the purchasing process, smartphones can offer convenience, speed, mobility and security – all ‘must-haves’ for today’s time-starved consumer. But smart mobile devices don’t just offer an easy browsing and payment method for consumers – through the use of mobile card readers, they can also deliver a convenient payments acceptance vehicle by providing merchants with a versatile opportunity to accept cards at low cost and with minimal infrastructure. Beyond the convenience factor, using mobile Point of Sale (mPOS) terminals also allows merchants to increase sales by securing deposits or full payments at the point of interest, wherever that is – capturing the ‘on the go’ customer to close spontaneous purchases. For mobile businesses and sole traders these pocket-sized card readers can be invaluable, particularly since they can decrease the reliance of these businesses on cash and cheques – which in turn helps to reduce operational costs, time and risk. Mobile card readers also offer important opportunities for other small merchants and entrepreneurial businesses to experiment with new sales avenues such as events, kiosks, stalls, or even take payments in customers’ homes – extending the reach of their business, and the opportunity for sales, beyond the confines of their own premises and trading hours. Even within retail stores and food or leisure outlets, mPOS offers the opportunity for merchants to create an enhanced customer experience and a more efficient workforce by providing additional resource and flexibility around where customers pay – helping to keep queues moving and engage customers more quickly. 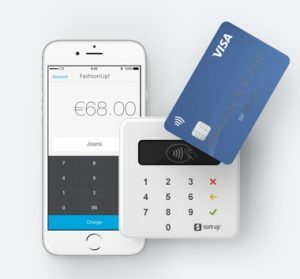 SumUp is one of the leading mPOS providers in Europe, catering specifically for small merchants and entrepreneurial businesses – enabling customers to take card payments and run their businesses via their smart devices, with minimal infrastructure and low overheads. The popularity of their mobile card reader with these small merchants has meant the company has expanded rapidly and now serves 31 markets across Europe, the US and Latin America. Follow SumUp on twitter @sumup or on LinkedIn.